his plans for the Ashland Youth Center. A strong dose of distrust toward the Alameda County Sheriff’s Department and a lack of transparency is fueling opposition to a proposal by Alameda County Supervisor Nate Miley to transfer oversight of the Ashland REACH Youth Center from the county’s Health Service Agency to the Sheriff’s Office. In a letter sent last December, Miley announced the Sheriff’s Office will become the lead operator for the youth center, effective in July. No reason was given and in subsequent months opposition to the directive has grown. Miley held a community meeting last week in Oakland, in addition, to a well-attended meeting in San Lorenzo on Wednesday. But Miley appeared to somewhat backtrack Wednesday from his statements in the December letter, saying the discussion over the youth center has only just begun and future meetings with the public and stakeholders are being scheduled. 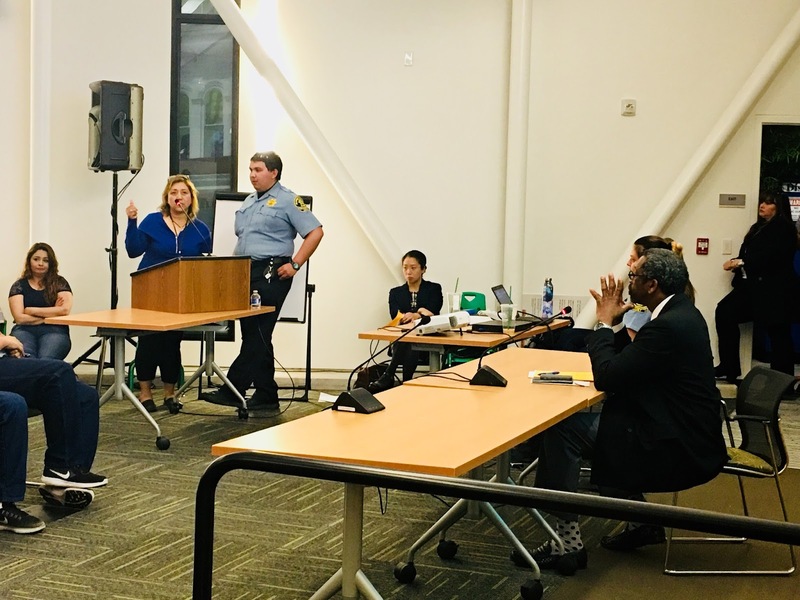 Some members of the audience Wednesday, including Alameda County Board of Education Trustee Aisha Knowles and San Lorenzo Unified School District Trustee Janet Zamudio, asked Miley to begin a formal search for new operator through an open bid process and rescind his December letter. The Ashland REACH Youth Center was completed in 2013 and serves teenagers and young adults, primarily in the unincorporated areas of Ashland and Cherryland. In some way, the center represents one of Miley’s most notable accomplishments as a county supervisor. 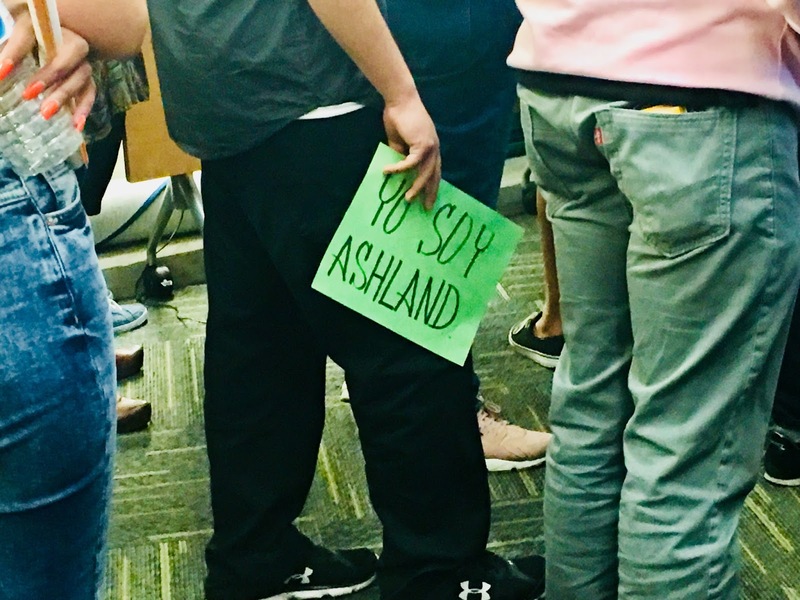 But while the center has provided an outlet for the area’s youth, in addition to health services, some who work there say that sheriff’s deputies have made their presence known in aggressive ways in the past, said Vassilisa Johri, assistant director of health and wellness at the Ashland Youth Center. Johri told Miley Wednesday that she fears sheriff’s deputies will target youths on a larger scale than before. She also worries that HIPAA compliance requirements will not be fully maintained if the sheriff’s office becomes lead operator. The law provides confidentiality between patients and caregivers. The future of the Ashland Youth Center is far from a resolution, said Miley. 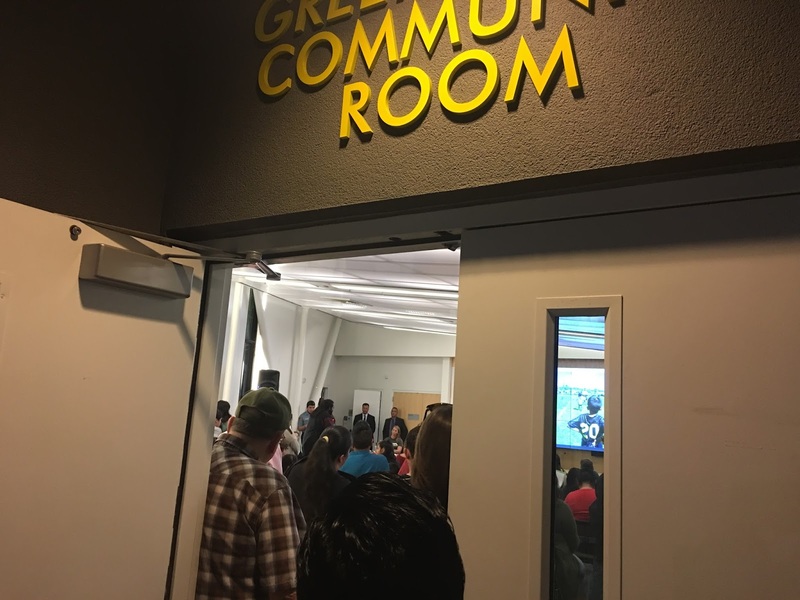 The Board of Supervisors will give final approval later this spring, but not before Miley meets the youth center’s staff, some of its vendors, area faith leaders, and other members of the community. Posted in Aisha Knowles, Alameda County, Alameda County Board of Supervisors, Alameda County Sheriff, Ashland, Ashland REACH Youth Center, Janet Zamudio, Nate Miley, police, unincorporated. Bookmark the permalink.